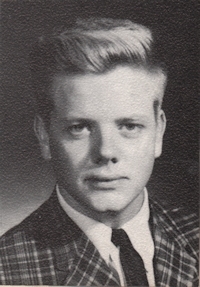 Obituary – Smith, Clark Allen « Perry High School Alumni Association, Inc.
Memorial Services for Clark A. Smith, age 60, of Perry, OK are scheduled for 2:00 P.M. Saturday, September 8, 2007 at the Perry Funeral Home with Pastor Brett Nation officiating. Mr. Smith was born on January 22, 1947 in Guthrie, OK to A.L. Smith and Wilma (Smith) Smith. 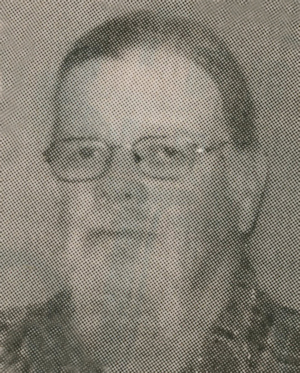 Mr. Smith grew up and attended school in Perry, OK and was a member of the Christian Church and attended there most of his life. He was in the United States Army for 2 years. His hobbies included painting small army figurines, cooking, playing with his dogs and loved reading about history. Mr. Smith passed from this life on September 5, 2007 at his residence. He is survived by his mother, one niece and her husband and one brother. He was preceded in death by his: Father one Sister: Deah Estes. Services are under the direction of Perry Funeral Home, Perry, OK.